Spoilers for the end of The Banner Saga ahead! 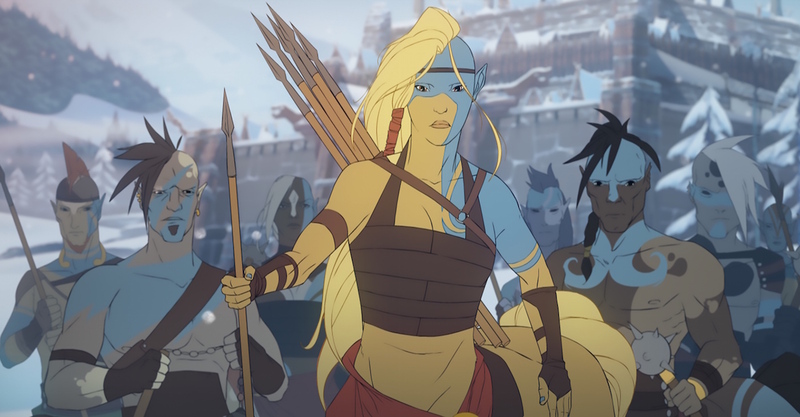 For players of Stoic and Versus Evil's original The Banner Saga, the sequel will feel very familiar. When you watch the nightless sky hover solemnly over the battle torn countryside, fires of skirmishes long abandoned still flickering defiantly, you oddly feel a sense of home. Even with its small tweaks, additions, and adjustments, The Banner Saga 2 is very similar to its predecessor in all the right ways. The Banner Saga 2 picks up shortly after the first game, with the consequences of that final battle looming ominously over everyone. For your protagonist in the game, you must choose between the old and weary huntsman Rook, and the young and wide-eyed markswoman Alette, who happens to be his daughter. Once you've made your decision, the game catches you up on what happened since the previous title. For those who have played the original, you can upload your save and your protagonist is whomever survived against Sundr Bellower (along with other data like character progress and other important choices). For those who didn't, I have to recommend you do, as this game hits the ground running and assumes you're well aware of the goals ahead and the hurdles left behind. The choice of main character is your most important early choice, as it colors the perspective from which this tale is told. As Alette, her biggest problems come from being respected among people who put all their faith in her now dead father. She struggles with convincing some of the more headstrong members of the group that she is worthy to lead, and she learns that Rook went through how be the hero people need, whether they want it or not. As my game in The Banner Saga ended with Alette being unceremoniously battered to death by Bellower, I played as her father. My Rook has been having a difficult time coping without his daughter, who was the only reason he persisted in this quest as long as he did. He recklessly runs into battle, either tearing the enemy apart or hoping to die trying. He's becoming more and more detached from the leadership and mentor roles he'd adopted in the past, grief and nihilism taking the place of hope and perseverance. His few friends, the widowed Oddleif and stern varl Iver, don't know how to ease his pain, but need him in a better place and quickly. The Dredge, ancient enemy of human and varl alike, continue their relentless campaign to decimate all life on the continent, and their caravan is in the warpath. Rook and his crew are doing the same thing they were doing in the first game: taking a host of survivors to the western human capital of Aberrang, where they hope to make their last stand. Much of your journey there takes place in an Oregon Trail-style over map. You watch your ever growing (or shrinking) parade of survivors march and sail on roads and rivers, interrupted frequently with distractions that call for some sort of decision-making to be done on your part. When people are tired, do you rest now in the open to keep morale high and casualties low at the risk of being caught off guard by enemies? When some people question your leadership, do you let them mumble to themselves or do you nip it in the bud immediately? 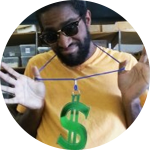 These choices may seem innocuous at first, but can have devastating effects in the long run. Give descent enough time to flourish unchecked and a sizable rebellion may start when you least expect it. Trying to stop it quickly and aggressively could lead to fighting, which does your caravan no favors either. In that way, The Banner Saga 2 is no different than its predecessor. One way The Banner Saga 2 does make noticeable improvement is in its turn-based, tactical battles. The system largely remains the same - each hero has a movement and action phase, and an armor and health bar. When targeting an enemy, you can choose to hit the armor or the health, the former removing the damage mitigation potential when targeting the latter. Health doubles as a characters life points AND the damage they do, so the more damage the absorb, the less they can dish out. The risk gets heavier and heavier as battles wear on, as the tough decision-making from the exploration half of the game finds its way into the combat in equally unsparing ways. Another difference from the original game is the variety of what you'll be fighting. Instead of new assortments of the same three or four types of Dredge, the kinds of enemies you can potentially run into can be frighteningly diverse. The Dredge now have options open to them that they didn't have before, like quick-moving stealth units that can cloak and vanish out of combat. You have new options open to you as well. Horseborn, a new centaur-like race, can be recruited. They use their momentum as a weapon, being able to move quickly and do more damage depending on the distance they travel. There are interactive parts of environments as well. Now, instead of having to wheel a heavy varl around a barricade, he can just crush it and move through it. In a game that is heavily based on positioning, this little tweak can really change the game when there are a lot of 4 square units on the field. Combat has always been the keystone feature of this game for me. The small numbers, small amount of units, and small, terrain heavy fighting spaces reiterate a design ideal that permeates the game as a whole: simple, straightforward, easy-to-understand challenge. So many strategy games get caught up in their own metadat, and can be overwhelmingly obtuse in the pursuit of being dynamic or interesting. The Banner Saga series grabs hard to the idea that big decisions and big results don't need a deep understanding of big mechanical overhead to achieve. Same with the adventuring aspect - you don't really need to know how every choice can effect every other choice in some sort of numerical sense, so you can focus on keeping your relationships with the characters you interact with as healthy as possible. Both combat and adventuring serve as great showcases for the 1960's Eyvind Earle inspired art and animation. The focus on the realism - with flat colors and minimal shading outside of clever lighting here and there - in spite of the fantastic elements abound in this tale, really help drive home to dirty, gritty nature of this world. Austin Wintroy, of Assassin's Creed and Journey fame, does great work creating a score that further develops the tense and increasingly desperate territory that The Banner Saga 2 degenerates into. If the first game was a story about heroism in the face of impossible odds and the challenges of staying united in the face of such world threatening tragedies, the sequel meditates on what happens when selfishness and tribalism become accepted practice in the absence of a true heroic leader. In a world where the sun never sets, the themes are ironically dark. But it's so well written that it's near impossible to put it down once you've started. 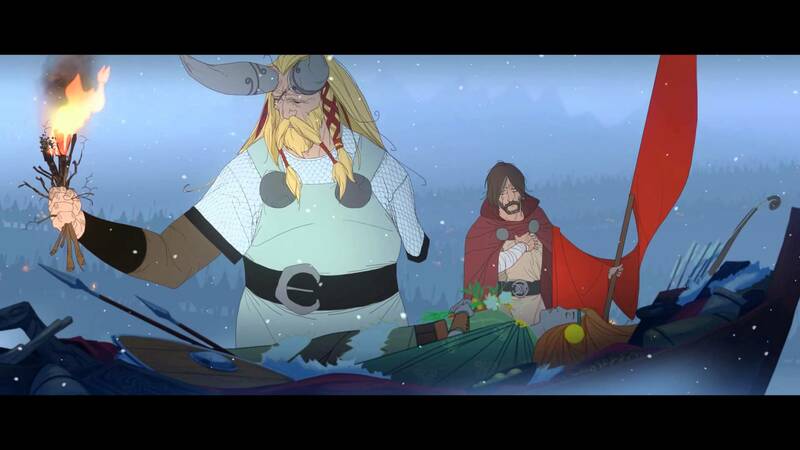 Tell us how you feel about The Banner Saga 2 on Facebook and Twitter. Also, come by the Official Banner Saga Wiki learn from your peers.